In the next 25 years, America’s highway system will be replaced in large part by a crisscrossing network of passenger rail lines. The automobile will be replaced by the Google (driverless) car. Alternative modes of transportation such as biking and walking will be more prevalent. And there will be a national chain of Mobility Labs serving key markets. “Transportation is always about the future,” LaHood said. And as the Republican appointee of a Democratic U.S. president knows perhaps better than most, transportation is also bipartisan. “There are no Republican roads or Democratic bridges,” he added. 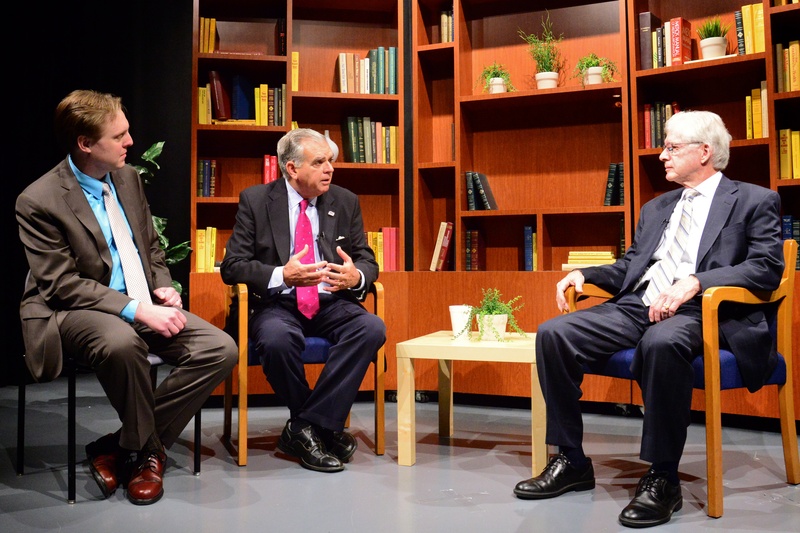 Both LaHood and Association for Commuter Transportation (ACT) President Josh Kavanagh used the Mobility Lab event – hosted at George Mason University’s Arlington campus – to repeatedly call for increased use of “transportation demand management (TDM)” practices in the United States. Kavanagh said the impact of transit-oriented development, Complete Streets, and other implementations of TDM are “profound” in jurisdictions where they are used. LaHood went further, suggesting that the U.S. needs “more Mobility Labs,” recognizing the organization (currently the only one of its kind in the U.S.) as a democratizing force and “example of extraordinary changes” that are taking place in our country. LaHood said there is a need for at least “four or five” Mobility Labs in key markets in the U.S., and he encouraged the company to seek private equity funding to make that happen. Democratization of transportation was an overarching theme at the event. Arlington County, whose transportation emphasis has always been on “moving people, not cars,” was cited by both LaHood and Kavanagh as an example of the best in transportation planning in the country. Splash photo by Joe Penniston on Flickr. Story photo by M.V. Jantzen on Flickr.